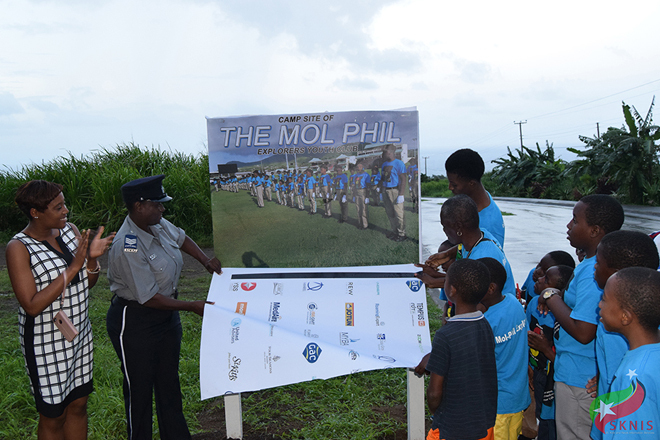 (Press Unit in the Office of the Prime Minister) – Representatives of several private and public sector organizations spent the afternoon of Saturday, January 27, 2018, interacting with the children and organizers of the Mol-Phil Explorers Youth Club during a special meeting at the club’s campsite at the Phillips’ Village Hard Court. The intention of Saturday’s meeting was to give potential sponsors a firsthand look at the progress made to date by the community-based youth group, while also outlining areas where the club is still in need of assistance. 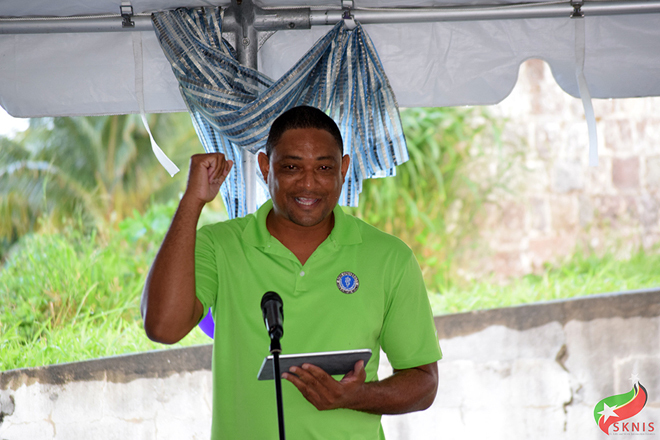 Permanent Secretary in the Ministry of National Security, Mr. Osmond Petty, dubbed 2017 as a successful year for the Explorers Club, which was launched under the umbrella of the ministry’s social intervention programme geared towards strengthening character and promoting positive behaviours in young people. “We have all been excited about what the club has done. Over 105 of them were on parade for the Independence celebration. There are about 140 on roll. We’ve had fun days; they’ve been on the Scenic Railway; they had a Christmas party for which we thank some private sector donors who assisted in contributing dishes and so on. We have two pontoons which were given to us by Range Development, Kier Construction, and which we are working with SKELEC to have electricity connected,” Mr. Petty explained. Among the organizations invited to address the children and their parents and guardians was the Chamber of Industry and Commerce. Its president, Mr. Jose Rosa, acknowledged the responsibility of the private sector in helping to shape the future of St. Kitts and Nevis. Veron Lake addressed the meeting in his capacity as the Director of Civic Affairs, Government Relations and Security Projects for Adtalem Global Education Inc. – the parent organization of the Ross University School of Medicine, and as a member of the Coalition of Support for St. Kitts-Nevis Security Initiatives. Mr. Lake noted that Ross University and the Coalition of Support for St. Kitts-Nevis Security Initiatives’ support towards the club is estimated at over US$50,000. 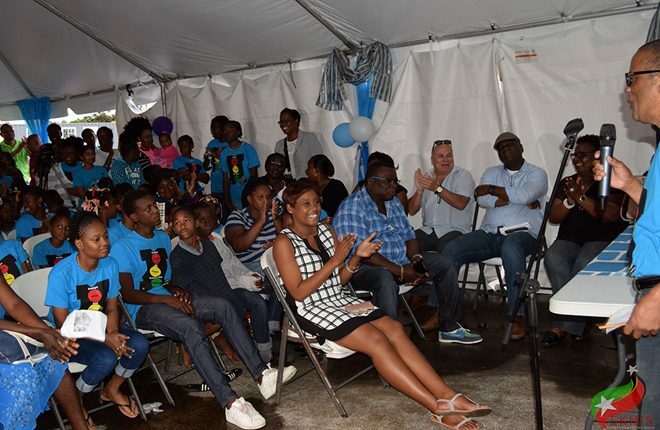 Representatives of the Liberty Testament Church of God, the Department of Social Services and youth advocates, including Senator the Honourable Akilah Byron-Nisbett, made presentations. Presentations were also made from individuals on drumming, cooking, computer and karate classes.